What do we ask about the sacrament of reconciliation? St. Mary Church Altus Sat. 4:30 p.m.; Sun. 8:30 a.m.
St. Bernard of Clairvaux Church Bella Vista Wed. 4:30 p.m.; Sat. 4:15 p.m.; Sun. 8:15 a.m.
St. Boniface Church Bigelow Sun. 7:30 a.m.
St. John the Baptist Church Brinkley Fri. 4:30 p.m.
St. Louis Church Camden Sun. 7:30 a.m.
Sacred Heart Church Charleston Sat. 5 - 5:45 p.m.; Tues. 6 - 6:45 p.m.
St. Michael Church Cherokee Village Sat. 3 p.m.
Holy Redeemer Church Clarksville Sat. 4 - 5 p.m.; Tues. 6:30 - 6:55 p.m.
St. Joseph Church Conway Sat. 8 - 9 a.m.; Tues., Thurs. 5 - 5:55 p.m.
St. Andrew Church Danville Thurs. 6 p.m.
St. Barbara Church De Queen Sat. 9 - 11 a.m.; Thurs. 7 - 8 p.m. Blessed Stanley Rother Church Decatur Sat. 5 - 5:45 p.m.
Holy Child of Jesus Church Dumas Sun. 10:45 a.m.
Holy Redeemer Church El Dorado Sat. 3:30 - 4:15 p.m.; Tues. 5 - 5:20 p.m.; Wed. 11:30 - 11:50 a.m.; Thurs. 7 p.m.; Fri. 11:30 - 11:50 a.m.
St. John the Baptist Church Engelberg Sun. 7:30 a.m.
St. Francis of Assisi Church Fairfield Bay Sat. 3:15 - 3:45 p.m.; Sun. 8:15 - 8:45 a.m.
St. Joseph Church Fayetteville Sat. 3:30 - 4:30 p.m.; Wed., Thurs. 5 - 5:45 p.m.
Good Shepherd Church Fordyce Sat. 3:30 p.m.
Sacred Heart Church Foreman Sun. 8:30 a.m.
St. Francis of Assisi Church Forrest City After Sun. Mass; Tues. 11:30 a.m.
Immaculate Conception Church Fort Smith Sat. 3:30 - 4:30 p.m.; Tues., Thurs. 5 p.m.
St. Boniface Church Fort Smith Sat. 3 - 3:30 p.m.; Wed. 5 p.m.
St. Albert Church Heber Springs Sat. 4 - 4:45 p.m.
St. Mary Church Helena Sun. 9:30 - 9:45 a.m.
St. Mary of the Springs Church Hot Springs Sat. 2:30 - 3:30 p.m.; Sun. 8 a.m.; First Fri. and First Sat. 12:30 - 1 p.m.
Sacred Heart of Jesus Church Hot Springs Village Sat. 3:45 - 4:45 p.m.; Sun. 7:15 - 7:45 a.m.; Tues. - Fri. 8:30 - 8:55 a.m.
St. Jude the Apostle Church Jacksonville Sat. 4 - 4:30 p.m.
Sts. Sabina and Mary Church Jenny Lind Sat. 3:30 p.m.; Wed. 5 p.m. Blessed John Newman University Parish Jonesboro Sun. 5 p.m.
Our Lady of the Lake Church Lake Village Sat. 4:15 p.m.
Sts. Peter and Paul Church Lincoln Sun. 9:15 - 9:45 a.m.
Christ the King Church Little Rock Sat. 11 a.m. - noon, 4 - 4:45 p.m.; Wed. 7:20 - 7:40 a.m., 11:30 - 11:50 a.m., 5:20 - 5:45 p.m.; Fri. 7:20 - 7:40 a.m., 11:30 - 11:50 a.m.; First Sat. 7:20 - 7:40 a.m.
Our Lady of Good Counsel Church Little Rock Sat. 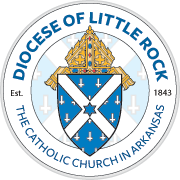 3 - 4 p.m.; Wed. 5 - 5:45 p.m.
Our Lady of the Holy Souls Church Little Rock Sat. 2:45 - 3:45 p.m.; First Wed. 4:30 - 5 p.m.
St. Edward Church Little Rock Sat. 3 p.m.; Tues. 5 p.m.
St. Theresa Church Little Rock Tues., Wed. 7:30 p.m.; Sat. 11 a.m.
Immaculate Heart of Mary Church Magnolia Sun. 3:10 p.m.; Tues. 5 p.m.
St. Mary Church McCrory Sat. 4:15 - 4:45 p.m.
St. Mary Church McGehee Sat. 4 - 4:45 p.m.
St. Mark Church Monticello Sun. 8 - 8:45 a.m.
All Saints Church Mount Ida Sun. after Mass; Thurs. 9:30 - 9:50 a.m.
St. Martin Church Nashville Sun. 8:30 a.m. and 10:30 a.m. (if requested); Wed. 6 p.m.
Immaculate Conception Church North Little Rock Thurs. 6 - 7 p.m.; Sat. 3 - 4 p.m.
St. Anne Church North Little Rock Sun. 9:45 - 10:15 a.m.; Wed. 5:15 - 5:45 p.m.
St. Augustine Church North Little Rock Sun. 10 a.m.
St. Mary Church Paragould Wed. 5 p.m.
St. Joseph Church Paris Sat. 4:30 p.m.; Sun. 8:30 a.m.
St. Joseph Church Pine Bluff Sat. 4 - 4:45 p.m.
St. Anthony Church Ratcliff Sun. 11 - 11:20 a.m.
St. Vincent de Paul Church Rogers Sat. 9 a.m.; Thurs. 5 p.m.
St. Francis of Assisi Church Roland Sat. 4:30 p.m.
St. John Church Russellville Sat. 8 - 9 a.m.; 3:30 - 4:30 p.m.
St. Leo the Great University Parish Russellville Sun. 11 a.m., 6:30 p.m.
St. Mary Church Saint Vincent Before Mass on Sun., Tues., Thurs., Sat. St. Mary Church Siloam Springs Sat. 3 - 3:45 p.m.; Wed. 6 - 6:45 p.m.
Sts. Cyril and Methodius Church Slovak Thurs. 5 p.m.
St. Raphael Church Springdale Tues. 5 p.m.; Wed 5 p.m.; Thur. 5 p.m.; Sat. 9 a.m. (except fifth Sat. ), 3 p.m.
St. Joseph Church Tontitown Sat. 3 - 3:45 p.m.; Tues. 5 - 5:30 p.m.; Thurs. 7 - 7:30 a.m.
St. Michael Church Van Buren 30 minutes before weekday Masses; Sat. 2:30 - 3:45 p.m.
St. Michael Church West Memphis Sat. 4 - 4:45 p.m.
Our Lady of the Ozarks Shrine Winslow Sun. 9 a.m.